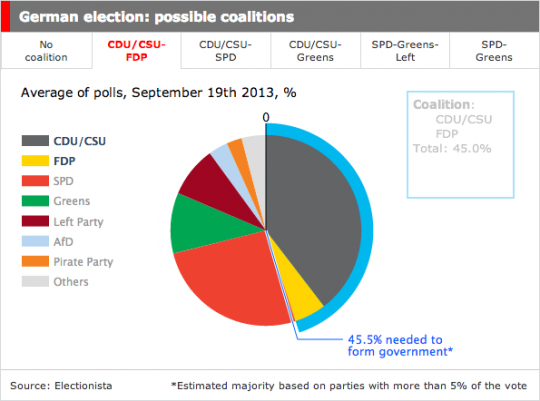 In two days, on September 22nd, Germans go to the polls. The Economist have but together an interactive infographic on how the coalitions in the Bundestag might end up. Go to The Economist to learn more. Update: we got a tip from a member that Spiegel Online have more statistics fore those of you that are interested. It’s in German, unfortunately.